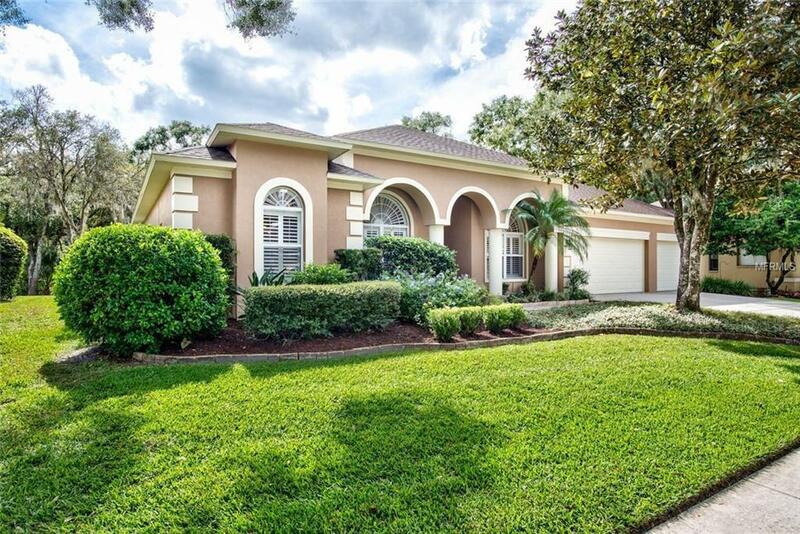 Welcome to Tremont located in the country club community of Tampa Palms. Built by Schmidt Brothers Luxury Homes and has all the characteristics one would expect in a contemporary, custom Florida home. Completely updated/upgraded and move in ready. Upgraded features include: completely remodeled kitchen w/ upgraded 42 cabinets, granite counters, new stainless steel appliances w/ gas range, remodeled bathrooms w/ new vanities, granite counters and accents, fixtures and upgraded tile, flooring upgraded from carpet to tile and laminate, 12 ft ceilings, plantation shutters ,water softener, LED lighting throughout, pool and spa w/ paver deck, natural gas installed throughout home, new paint exterior/interior, 22'x15' outdoor grilling/party paver deck w/ stacked stone grilling cabinet, stacked stone storage cabinet on lanai, 3 zone outdoor audio system, 2 outdoor TVs, roof replaced in 2014, HVAC replaced in 2015, upgraded HVAC duct work and registers, upgraded insulated garage doors w/ hurricane reinforcement, 3 car garage w/ storage, outside LED lighting features dusk to dawn transformers in front and rear of the home. Conservation Lot guaranteed privacy! The open concept is perfect for entertaining and facilitates the indoor/outdoor Florida lifestyle. Convenient to shopping, USF, hospitals, The V.A. and fast access to I-75. A graded local schools, exclusive neighborhood parks w/ new playground and community center. A fabulous Country Club w/ top rated golf course and clay tennis courts. Low annual HOA dues.